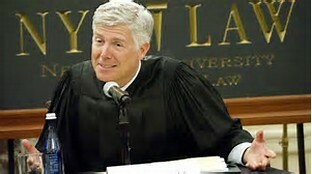 President Trump has selected federal appeals court Judge Neil Gorsuch to fill a Supreme Court seat that has sat vacant for nearly a year, setting up a blockbuster confirmation hearing that could put the new White House's domestic political agenda on trial in the U.S. Senate. The selection fulfills an early campaign promise by Trump to nominate a solidly conservative judge with a record of strictly interpreting the U.S. Constitution. Gorsuch, 49, sailed through an earlier confirmation process for a spot on the federal appeals court in Denver. Only weeks after his nomination in 2006, the Senate confirmed him by voice vote. The American Bar Association rated him as "unanimously well qualified" at the time. Like Justice Antonin Scalia, whom he is in line to replace, Gorsuch has cultivated a reputation as a memorable and clear author of legal opinions. He also considers himself to be an originalist. Lawyers who practice before the U.S. Court of Appeals for the 10th Circuit, where Gorsuch currently works, said he is a popular and approachable judge. SCOTUSblog, the leading Supreme Court blog, described some of Gorsuch's parallels to Scalia as "eerie." "He is an ardent textualist (like Scalia); he believes criminal laws should be clear and interpreted in favor of defendants even if that hurts government prosecutions (like Scalia); he is skeptical of efforts to purge religious expression from public spaces (like Scalia); he is highly dubious of legislative history (like Scalia); and he is less than enamored of the dormant commerce clause (like Scalia)," the blog wrote. Among other rulings that came to national attention, Gorsuch sided in favor of "religious freedom" claims made by the Little Sisters of the Poor and the owners of the craft company Hobby Lobby, who challenged language in the Affordable Care Act that required them to pay for contraceptive coverage for employees. 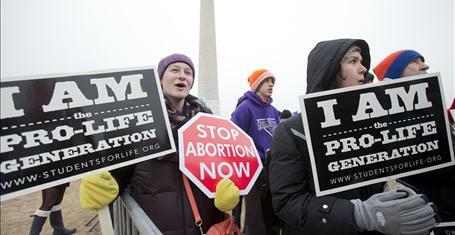 The Supreme Court backed those Hobby Lobby challengers, in a divided vote, in 2014. 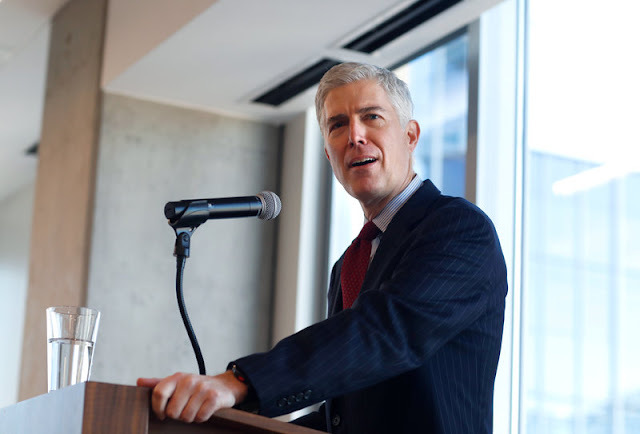 In a lecture to the conservative Federalist Society in Washington more than three years ago, Gorsuch elicited laughter from the audience as he quoted from the 1853 Charles Dickens novel Bleak House, referenced the work of the late novelist David Foster Wallace, and discussed irony and the law. "Like any human enterprise, the law's crooked timber occasionally produces the opposite of the intended effect," he said. "We turn to the law earnestly to promote a worthy idea and wind up with a host of unwelcome side effects that do more harm than good. ... We depend upon the rule of law to guarantee freedom, but we have to give up freedom to live under the law's rules." Off the bench, Gorsuch in 2006 published a book called The Future of Assisted Suicide and Euthanasia, criticizing the practice and defending the "intrinsic value" of human life. He also contributed to The Law of Judicial Precedent last year. President Donald Trump nominates U.S. Court of Appeals Judge Neil Gorsuch of the Tenth Circuit to the Supreme Court, replacing the late Justice Antonin Scalia. 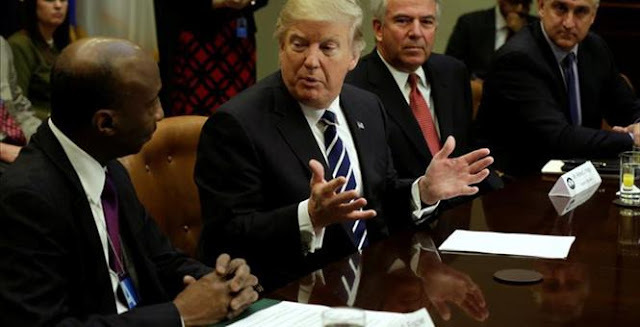 During a meeting with pharmaceutical industry executives and experts Tuesday morning at the White House, President Donald Trump vowed to cut a number of burdensome regulations on the industry in an effort to bring production of medical drugs back to the United States. “I'll oppose anything that makes it harder for smaller, younger companies to take the risk of bringing their product to a vibrantly competitive market. that includes price-fixing by the biggest dog in the market, Medicare, which is what's happening. But we can increase competition and bidding wars, big time,” Trump said according to the White House pool report. 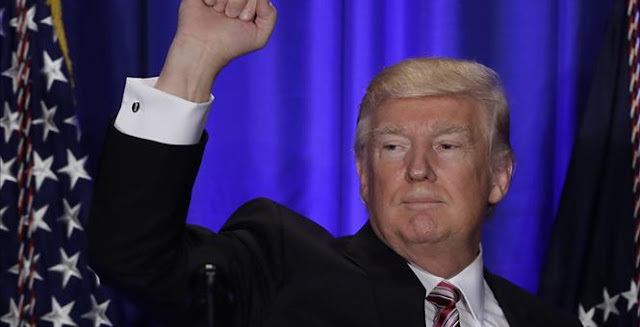 President Trump has called for a comprehensive tax reform plan to be passed by Congress this year in order to benefit all American industries and businesses. 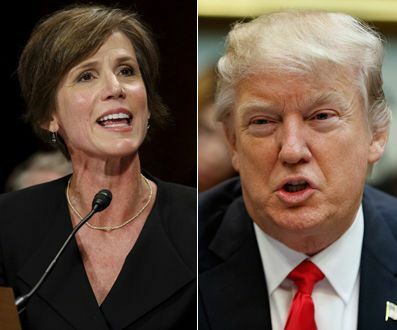 BREAKING: Trump fires acting Attorney General Sally Yates after she orders Justice Department lawyers to stop defending refugee ban. 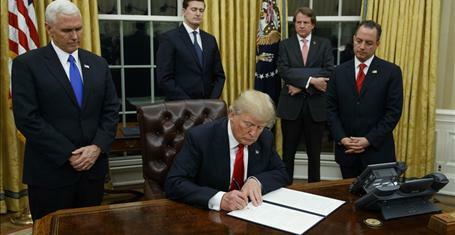 President Donald Trump kicked off his second full week in the Oval Office by meeting with small business owners at the White House and signed an executive order requiring the elimination of two federal regulations for every new regulation being implemented. "The American dream is back and we’re going to create an environment for small business like we haven’t had in many, many decades, " Trump said. "We are going to simplify, reduce, eliminate regulations." 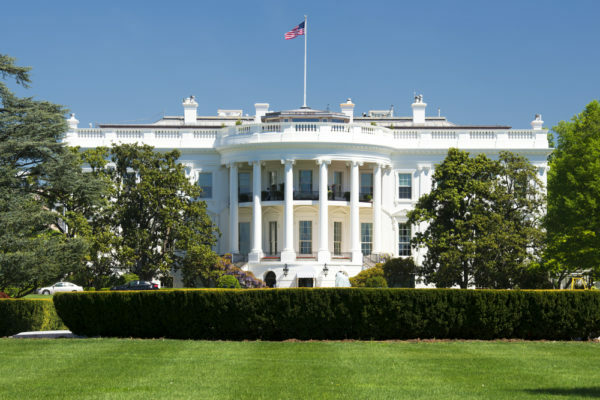 Trump also added that Dodd-Frank is a "disaster" and said his administration plans to take aim at the legislation, which was passed by Congress and signed by President Obama in 2010. The order comes a week after Trump took executive action to ease the burden of Obamacare regulations. Trump On Immigration Action: We Will keep America Safe! Yet, I don’t remember the Left freaking out over this. I certainly don’t remember them going indiscriminately insane when the Obama White House stopped processing Iraqi visas for six months when—surprise! —Al-Qaeda operatives feigned refugee status to get relocated to Bowling Green, Kentucky. And yes, some of the applicants worked as intelligence assets and interpreters for the U.S. military, according to ABC News. But remember, that was when a Democrat was in the Oval Office, so it was okay back then. Barack Obama’s farewell address to the nation was both familiar and discordant. 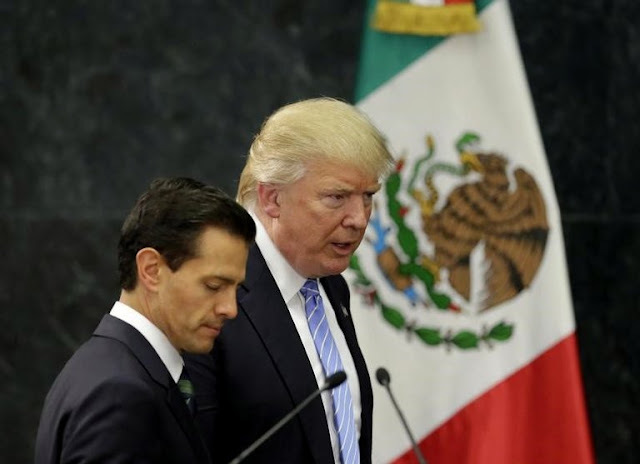 It was familiar because the rhetoric was reminiscent of his two campaigns and it was discordant because of his disconnection from the reality of the country he was leaving behind. He sounded as if he never stopped whistle-stopping and was still vote harvesting. He spoke of America’s founding axioms and today’s continual challenges. Mr. Obama was determined to leave office planting the seeds for future progressives. He said America’s founders set forth a path for all Americans to achieve a common and greater good. He cited our founders as men who made sacrifices and compromises when they wrote our Constitution. He insisted that is how he governed. He spoke about his desire to bring equality to all Americans. He called for “a new social compact” to guarantee all people receive what they need. He admonished right to work states and said we need to give workers the power to unionize for better wages across America. He claimed we need to increase taxes on business and individuals who earn the most. They should be sharing this with those who are in need. He reiterated government’s role was evolving and US citizens had become more dependent on their assistance. His artful speech lacked disconnect with reality. His idea about giving government more control over our lives by increasing the taxes on our producers and giving more money to those who want handouts sounded like the rhetoric he preached for eight years. This was a repeat performance to set the stage for the next up and coming progressive running for office. Obama strapped economic growth by over regulating the free market. This discouraged businesses to expand and hire. Many either gave up looking for work or took jobs beneath their pay grade. Although this made Obama’s numbers look good, his “under-employment” numbers were the worst in our nation’s history. Obama’s farewell address was discordant in its notable detachment from America’s current political expectations and their growing distaste for progressives. 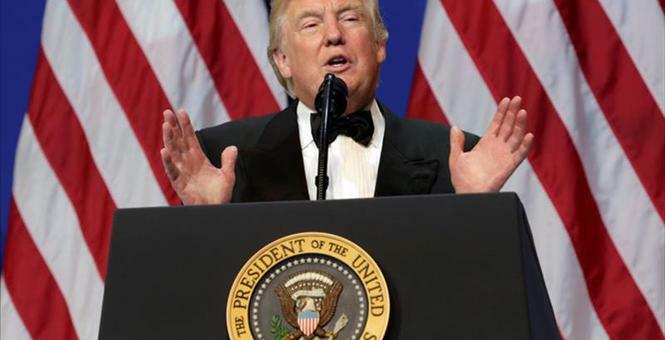 The working man’s choice and underdog Donald Trump, won the presidency during an era when liberals have suffered troubling losses in state legislatures, our governors’ mansions and in Congress. Across the country, Americans are rejecting the progressive agenda as more ideological than equitable. Americans want to know their leaders care more about their upward mobility than inequality. They want their elected officials to be more concerned about jobs than green energy, climate change or rehashing racism. The change they got from the Obama administration was doubling the national debt, scandals, disastrous foreign policy, failed stimulus programs, and total fragmentation of our nation. The litany of these abortions perpetrated on both the American people and the world by him will take years to correct. 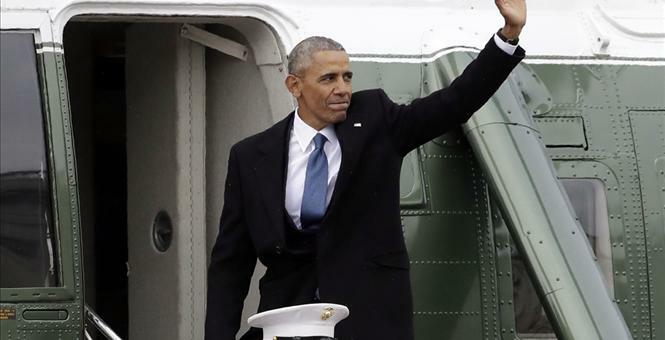 Others waving goodbye had exploited his stimulus money on failed green energy projects. The seniors and savers who watched him leave had seen their income fly away like his jet; due to the fed keeping the interest rates at sub zero during his time in office. Teachers waved goodbye to the father of common core, and the bankers were delighted hoping President Trump would dump Dodd-Frank. The only ones who mourned were those who had been on a free ride for eight years with food stamps, free cells phones, and section eight housing. Of course there were the greens who felt short changed he didn’t outlaw all fossil fuels. But those who had watched him destroy the greatest healthcare system in the world, cheered as they watched the US presidential Boeing 747 aircraft disappear over the horizon. This final flight marked the end of their eight year nightmare. Many who did not vote for Obama were optimistic about a few things and wanted to give him a chance. They felt the 1st black president would help put the ugly history of racially divisiveness behind us. But from his earliest stumbling effort, the “Beer Summit,” Obama proved he had no interest in dealing with this signature issue. He actually magnified it, pre-judging racially charged cases, like the shooting of Trayvon Martin or the questionable police shooting in Ferguson, before the defendants got their day in court. Does this sound like a man who was elected on the premise to unite all American’s under one cloak? This sounds more like Al Sharpton and Jessie Jackson. What totally turned the tide of support for Obama was the disastrous launch of ObamaCare. This was a reminder to America everything that’s wrong with big government. When we were told health care would run as well as the Department of Motor Vehicles, nobody was optimistic. Have you ever tried to get anything done at the DMV in downtown LA? When ObamaCare was passed, we were assured it would provide insurance for 32 million newl people. Yet today ObamaCare is covering fewer people than ever before. Insurance premiums have doubled for most Americans, and many have been canceled. A year after this Frankenstein was incarnated by the resurrecting of Dr. Hyde insurance companies started fleeing from the exchanges faster than a Tennessee hound dog can dig up his favorite bone. And the expansion of Medicaid is about to bankrupt many of our states. 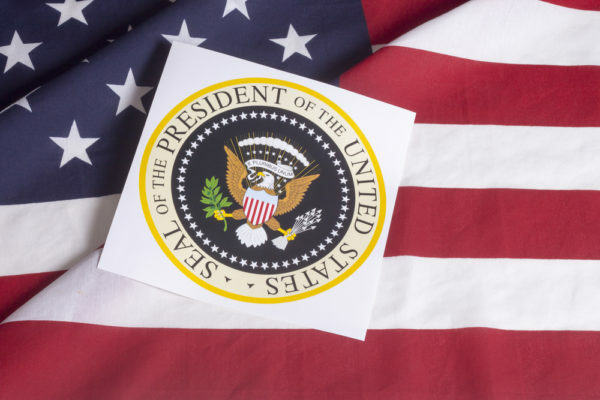 Since there is always a list of comprehensive presidential failures every time we replace our commander in chief, we must remember there is much more testimonial than turmoil during the changing of the guard. Therefore it is only befitting to try and find accolades to remember him by even though he might have been an epic failure. He promised to fundamentally change America, and he certainly did live up to that promise. Unfortunately for most Americans, this was not the change they wanted. His changes might have benefited a few in the minority but they did nothing to benefit the majority. It taught America that big government is worse than none at all. We have the longest lasting Constitution in world history, so it must be a good one. There is no need to fundamentally change America now or in the future. From the errors of our past, let us all hope we have learned something from our mistakes. There is no free ride for anyone. Our founders only guaranteed us the opportunity to seek happiness and riches and to put in place a government that we controlled not the politicians. They never told us America owed us anything. We must be committed to live by the principles of our Constitution and America will always be a great nation. We must elect leaders who believe our Constitution is as sacred as a bible. William Haupt III is a retired professional journalist, citizen legislator in California for 40 plus years, and author. He got his start working to approve prop 13. This article was written by a contributor from Franklin Center’s independent network of writers, bloggers, and citizen journalists. 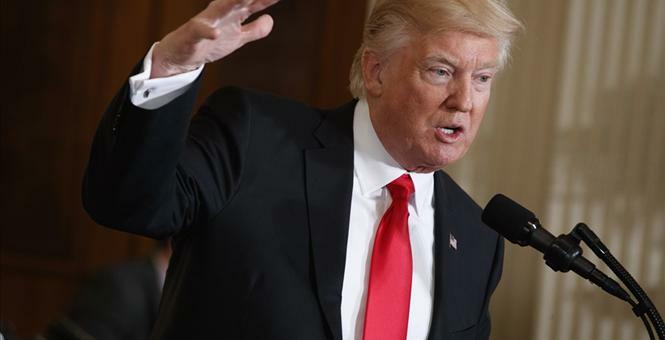 The hundreds-of-thousands of pro-life Americans from all over the country who came to Washington D.C. for the annual March For Life received the full support of President Donald Trump. Vice President Mike Pence spoke at the event, making this the first time in the March's history, which spans 44-years, that a sitting vice president addressed the pro-life marchers. White House Counselor Kelly Anne Conway was also in attendance. President Trump welcomed British Prime Minister Theresa May to the White House Friday in his first meeting with a foreign leader. 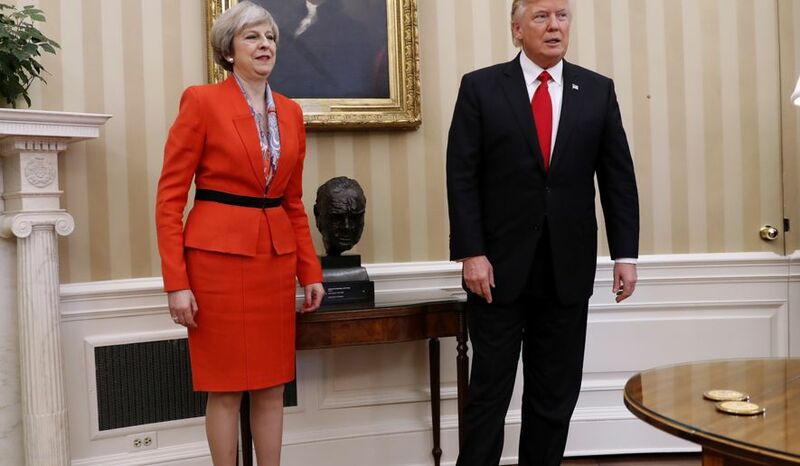 The president greeted Ms. May enthusiastically outside the doors of the West Wing, then took her to the Oval Office, where he proudly showed her a bust of Winston Churchill that he’d returned to prominent display after former President Obama had removed it. “It’s a great honor to have Winston Churchill back,” the president said as he shook hands with the prime minister. The two leaders conferred about trade and other issues before they were to hold a joint news conference in the East Room, Mr. Trump’s first as president. Gimenez cited an executive order signed Wednesday by President Donald Trump that threatened to cut federal grants for any counties or cities that don’t cooperate fully with Immigration and Customs Enforcement. Since 2013, Miami-Dade has refused to indefinitely detain inmates who are in the country illegally and wanted by ICE — not based on principle, but because the federal government doesn’t fully reimburse the county for the expense. 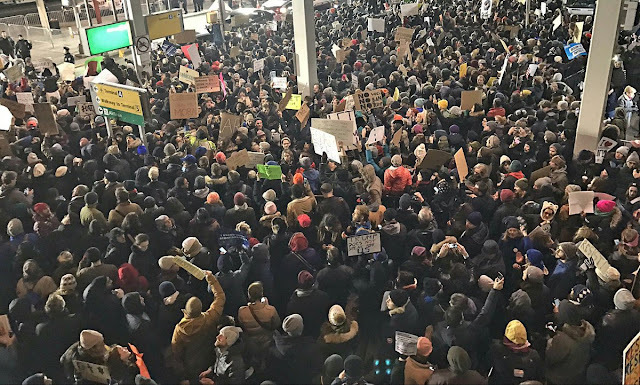 In light of the provisions of the Executive Order, I direct you and your staff to honor all immigration detainer requests received from the Department of Homeland Security,” Gimenez wrote Daniel Junior, the interim director of the corrections and rehabilitation department, in a brief, three-paragraph memo. Unlike cities like San Francisco, Miami-Dade never declared itself a “sanctuary” and has resisted the label ever since the Justice Department listed the county as one in a May 2016 report. Foreseeing Trump’s crackdown on “sanctuary” jurisdictions, the county asked the feds to review its status last year. A decision is still pending. In an interview with the Miami Herald, Gimenez, a Republican who attended Trump’s inauguration last week but said he voted for Hillary Clinton, said he made a financial decision. Last year, the county declined to hold some 100 inmates wanted by the feds. Keeping them in local jails would have cost about $52,000 — a relative drop in the bucket for a county with a total annual budget of $7 billion. In contrast, the county’s 2017 budget shows it’s counting on receiving some $355 million in federal funds — money that subsidizes elderly services, beds for the homeless, police officers and other government expenses. 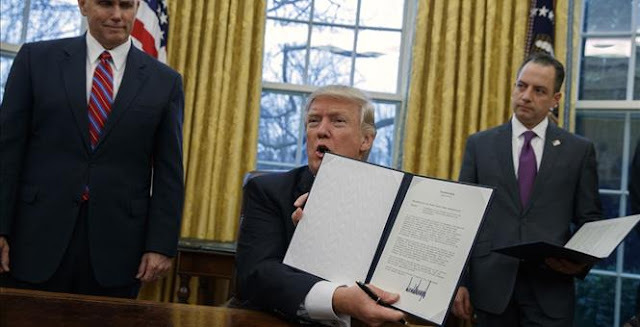 As expected, President Donald J. Trump has just signed two executive orders that call for the construction of a border wall and outlines a new agenda regarding immigration enforcement. It's done. Bloomberg's Jennifer Jacobs reported one of the orders puts an end to catch-and-release, U.S. Customs and Border Protection personnel by 5,000 people, and seeks to put an end to asylum fraud. The second order seeks to end sanctuary cities, identify criminal illegal aliens, triple the amount of Immigration and Customs Enforcement agents, and empower them to enforce federal immigration laws. It will also create victims advocacy office for Americans who loved ones had been victimized by people who should have never been here in the first place. The issue of sanctuary cities reached new heights in 2015, when an illegal alien who had been deported five times killed Kate Steinle on a San Francisco pier. The Dawn of A New Era: The Trump Inauguration!